If not for Johnny Depp’s little drunken (or stoned, or both?) performance at this Awards show last week, nobody would have known what the award show was…because nobody watched it. Who cares? My Nobody self is about Award-Show burned out. I’d rather watch Bill Whittle rants on YouTube, or caterpillars mate. NEWSFLASH! : Smoking even a small dose of Panama Red, can dribble your brain. Shrink it, postpone it… your frontal lobe deflates, and yes, you might think you’ve discovered the universe in that slice of pizza you are holding in your hand, but everyone around you thinks you’re pretty much a dork. By all accounts, we can assume that Johnny Depp won’t be ask to join Mensa anytime soon. So..what does this say about all the adults getting high in Colorado? 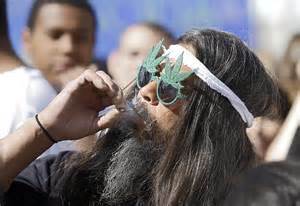 And why do so many people get stoned when it makes them…stupid? Okay. I know…we all know your metabolism plays a big part in whether you can handle drugs OR alcohol in great quantities…one man’s ceiling is another man’s night by the toilet bowl–but I grew up in the rock and roll Janis Joplin and Jimi Hendrick experience too, where even if you didn’t do drugs, you could get stoned just sitting in the audience at their concerts, because trust me, it’s a weird feeling to be the only straight person among 10,000 stoned, really high… people. And if any of my former friends are reading this blog, please forgive me for NOT being able to get drugged stoned-up drunk with the group all those concert going nights. Please believe me, you were all very entertaining, and I thank you for NOT leaving me in the parking lot, and for trying to accept me for what I really must have been to you: totally…boring. And in case you haven’t guessed: because I was sober while most of my friends were either drunk or stoned, I made a few observations of my own, because as we all know: you can learn a lot by watching drunk and stoned people. Mainly: Don’t ever get that drunk or stoned. Not according to my local Mayor, who once got on the radio and told EVERYONE that he considered smoking dope harmless, and definitely not as dangerous as alcohol. There was a Mexican restaurant right in front of the police station that always had two or three Vipers parked in front next to the Dollar Store, which lead me to highly suspect WHY my mayor would promote getting stoned on the radio. But…I’m sure I’m considered a terrorist by my local police, so I will say no more. Despite the many deaths caused by alcoholics getting behind the wheel, when it comes to hurting yourself—-My advice? Get drunk if you want—- Just don’t drive. Some of the most brilliant men to ever walk the earth were drunkards. History is full of them. Their lapse of brain functions was always during the time they were inebriated…the next morning, when they sobered up…their IQ was still there. Their liver’s may go someday, but they still can think—-UNLIKE your usual pothead…whose is just happy to think he’s really got the world figured out, when in reality, his brain is usually thinking about his next meal, and next score. 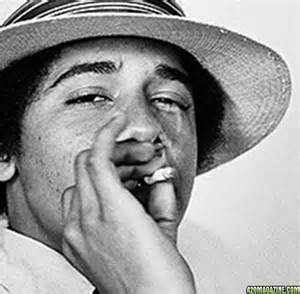 Not too many potheads win Nobel Prizes, although, some of them do win Presidential elections. I have watched people pass out on the floor from being drunk, but to me that’s not as scary as the person who smokes every day and loses the ability to make coherent sentences. They can walk…but they don’t think much. The drunk, WILL come back to the bar the next night. The stoner, will just stay home, and eat…..just about everything. And that brings me to the next thought: Some people actually can do anything: drink all night, smoke, and drop acid, and it doesn’t seem to affect them at all. How do you tell if they have lost their frontal lobes? Easy. If you know someone who does drugs and then is on a health food diet, that’s your clue. Health food doesn’t raise your I.Q., and to think that it will even out all that partying shows you that maybe the IQ was low to begin with. And on that note, I have to say, I really enjoyed Johnny Depp’s drunken speech. Hollywood also haven’t figured out that drugs kill. So does alcohol. So–if your kids saw Johnny’s Depp’s performance and asked you what was wrong with him? Just tell them, “He lives in France. That’s how they talk over there. ” Especially IF—-they are under 16. That explains a great deal about the current occupant of the White House.